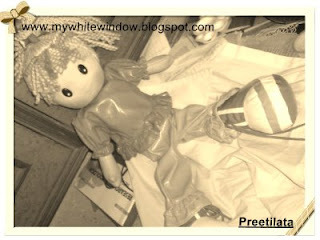 P.S : "The Doll" is my very first step towards writing a “55 Fiction” and I hope I am successful in it. You have been terrific of late composing one mssterpiece after the other and I would expect that it continues and I know it will-Amen. Great work of skilfulness and artistry here. This is technically sound, perfectly worded and wonderfully executed. Keep exploring more such avenues. wonderful... creation ... hats off to you my angel.. keep writing..
i always wanted to try 55 fiction but me so scared, it needs a lot of talent to present a complte story behind a limited number of words. 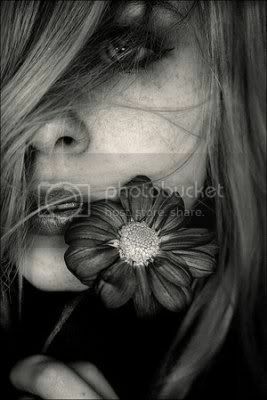 You did it wonderfully, said a lot with just few words, not everyone can handle this. once again a big thanks to you. yes, I LOVE YOU" is what i want from you. ;)...it is more than anything and everything. even i am proud of u dear an m one of ur biggest fan too. Very well said and a good first try ther. it was good..but you can and will do better. thanks a lot dearie. why don't u give it a try too?? thats d best part of blogging. everyday we learn something new from each other. do try both nonet and 55fiction. m eagerly looking forward to read urs. ye it's really a super cool thing. do try it. welcome to my "White Window". sure will drop in to ur blog soon. thanks for ur blessings mom. m glad that u hv loved it. Thats some awesome work here! this just ripped my heart. Good one! This is so awesome. Read Lena's and now yours. I don't think I can do this! this 55 fiction is thing a tough one to do..!! Ur blog template s nice!! For the first timr i'd come across the term, 55 fiction!! Cudnt believe its t first try!!! thnks for the encouragement. m glad that u liked it. welcom to my white window! m glad that u liked my blog. thanks a lot shal. glad to know that you liked it. tu kinni cute hai meghz. thanks for the encouragement. happy to knw that u liked it. thnks a lpt sneha di. glad that u liked it. u cn do it. just give it a try. thnks. glad that u liked it. its not tough at all. just give it a try. glad that u liked my blog and d template. thnks for liking my 55fiction.